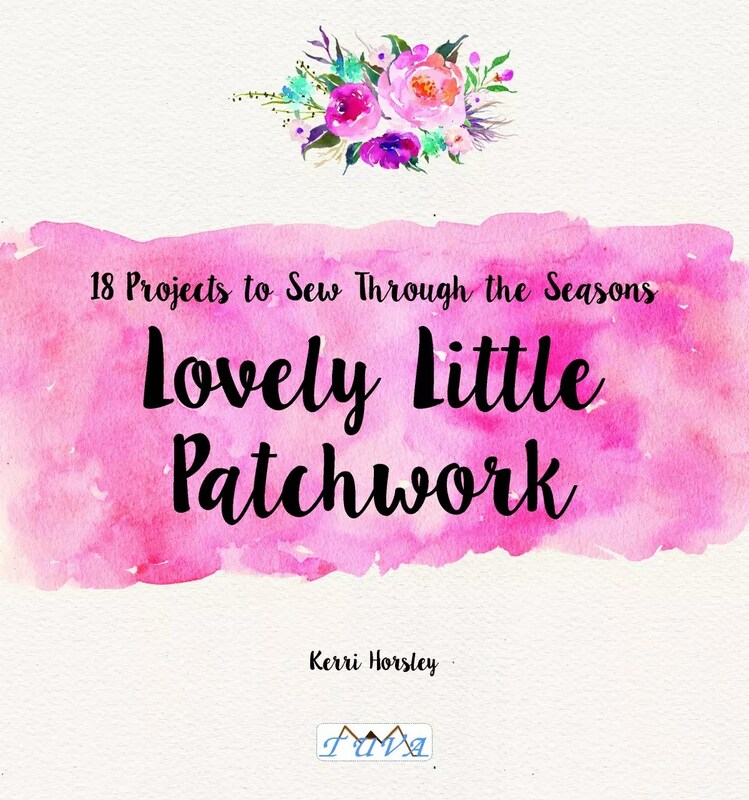 I’m so excited to be a part of Kerri Horsley’s Book Tour for her first book Lovely Little Patchwork: 18 Projects to Sew Through the Seasons *. 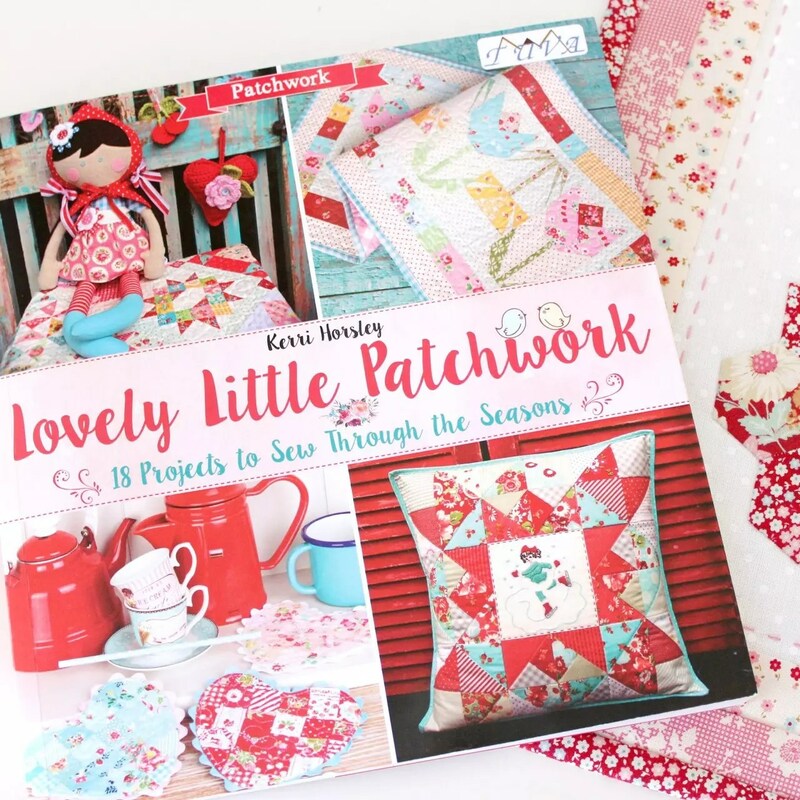 This beautiful book has such a varied range of detailed and pretty sewing projects. It was difficult to choose a project to start on! But if you’ve been following me for a while, you’ll know I’ve been loving English paper piecing right now. So I decided to sew the Cherry Pot Holder. 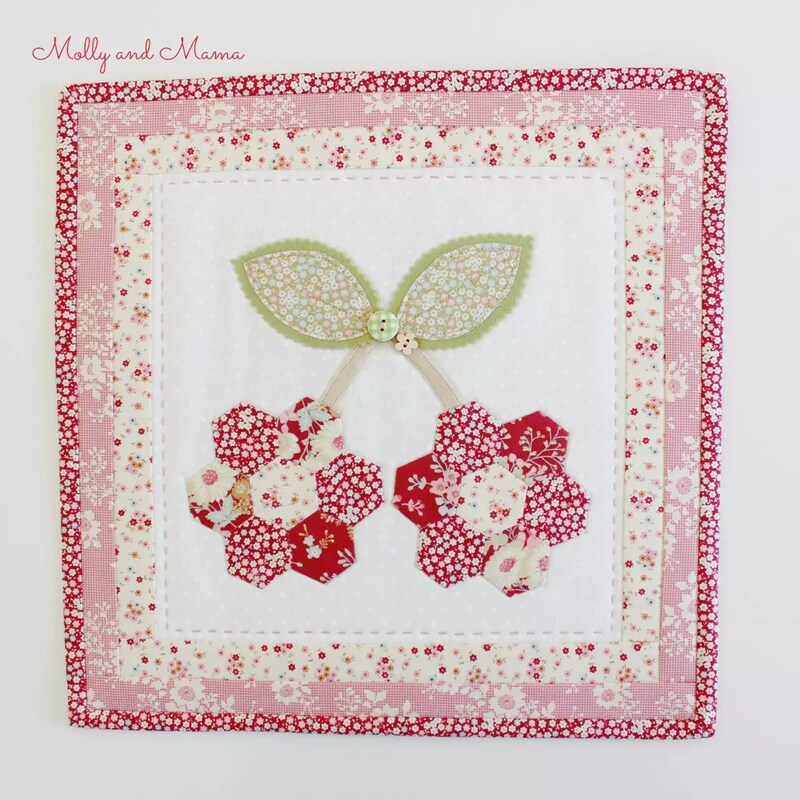 And it soon became the Cherry Mini Quilt! The first book that Kerri (from Lovely Little Handmades) has created with Tuva Publishing is visually stunning. The projects are all organised into seasonal chapters. There’s lots of patchwork, but also embroidery, English paper piecing, foundation piecing and other small sewing projects. I would really recommend it! But back to the Cherry Pot Holder! My first task was to choose fabrics. 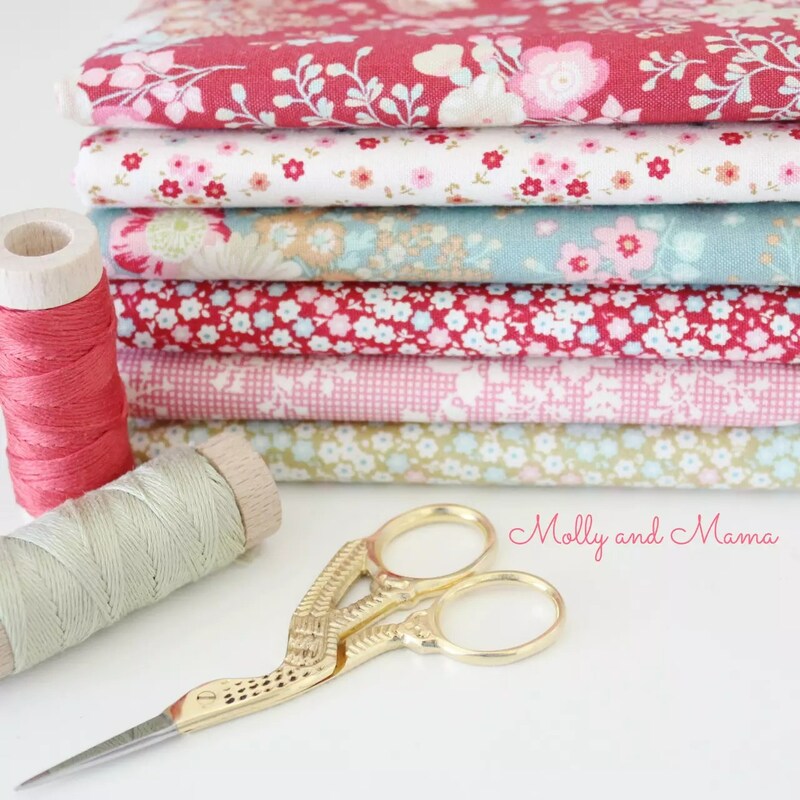 I recently received a stunning bundle of the new Tilda ranges; Cabbage Rose and Memory Lane. The prints and colours suited this project so well! And the Aurifi floss sent to me by Ava and Neve matched perfectly. Fluke! I started making the hexies for the cherries first. 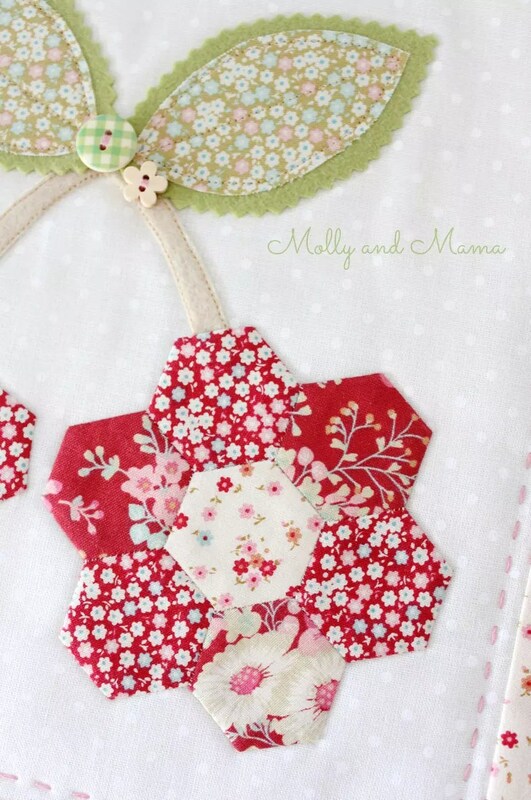 Using a combination of the three red shades of fabric, I hand stitched two hexagon flowers (for the cherries). I only had 3/4″ Hexagon papers on hand, so decided to change the project from a pot holder to a mini quilt. 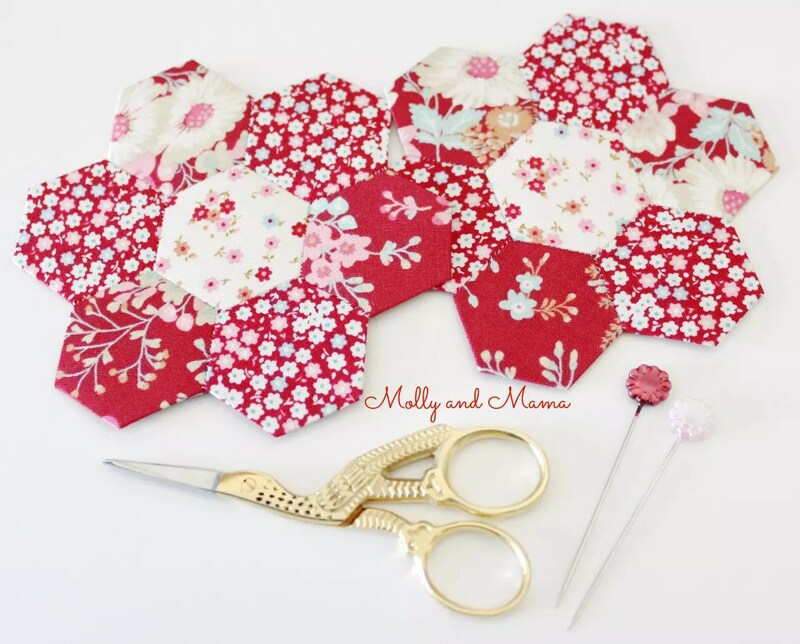 You can read more English Paper Piecing in my Hexies Tutorial. I’m a ‘glue baste’ convert, so this tutorial will give you lots of tips! I followed Kerri’s instructions and just adapted the sizes to suit my hexie cherries. Lots of fun! The hexies were hand appliquéd onto the backing fabric – a gorgeous white dot chambray from Ministry of Fabric. It’s my favourite fabric right now, because it’s so versatile. I’m finding I am using it on everything! I loved using wool felt for the stalks and leaf background. It adds a beautiful texture. And so do the buttons. I had a hard time choosing those too! 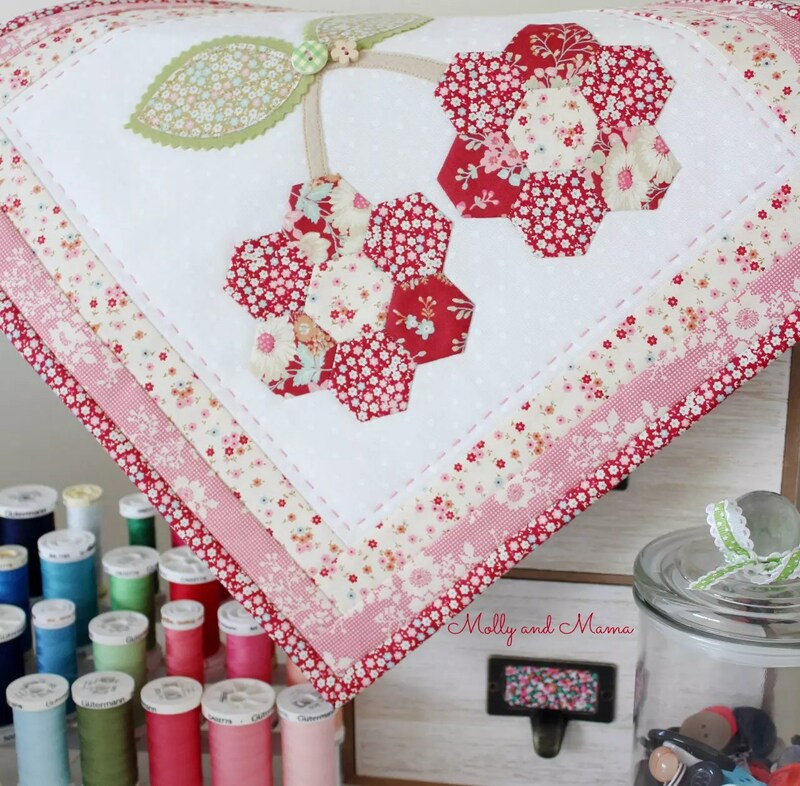 I was really happy with how the Cherry Mini Quilt turned out, and I’ve already added it to my growing collection of mini quilts adorning the sewing studio wall. Be sure to check the schedule below for all the stops on this beautiful blog tour. There have been some stunning creations from some super talented makers already. And there are more to come! I’m looking forward to seeing what everyone sews. *This denotes an affiliate link. Hi Lauren, lovely to meet you this weekend….. and always great to find another blog to read and stitcher to inspire!